You are browsing the Blog for peregrines woburn copulating. During copulation the female is pitched forward, making an angle of about 45 degrees with respect to the perch. The copulation wail is clearly heard nearby. As the male mounts, the female spreads her wings at the elbow, about one fourth open. The tail, up and to the side, may be partly spread. The male flap his wings constantly during copulation, maintaining an upright posture with the neck extended and best in a curve. the male may give a burst or bursts of the chitter vocalization just before, during, or after mounting. The entire copulation process may last as long as ten seconds, and then the male departs. 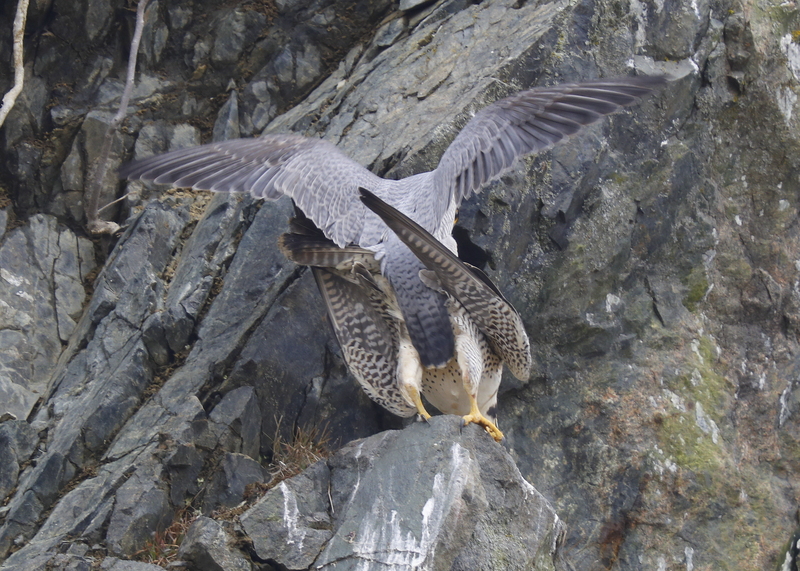 Peregrine Falcons: Woburn – Copulating! 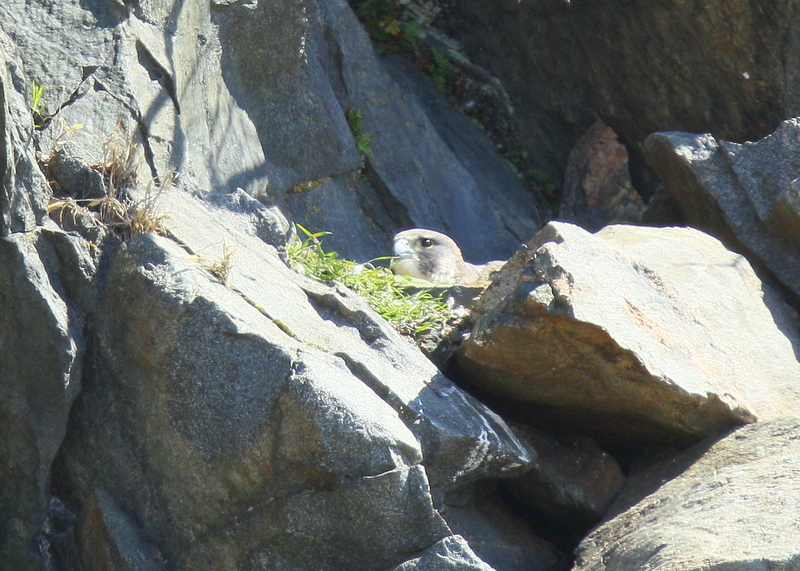 Made an early visit to observe the Woburn Falcons and found the female hunkered down in incubation mode. She may have laid one or two eggs at this point. Also had a chance to observe further copulation activity. Typically the copulation activity ends after the third egg is laid, so we may be close to the end of the egg laying cycle! 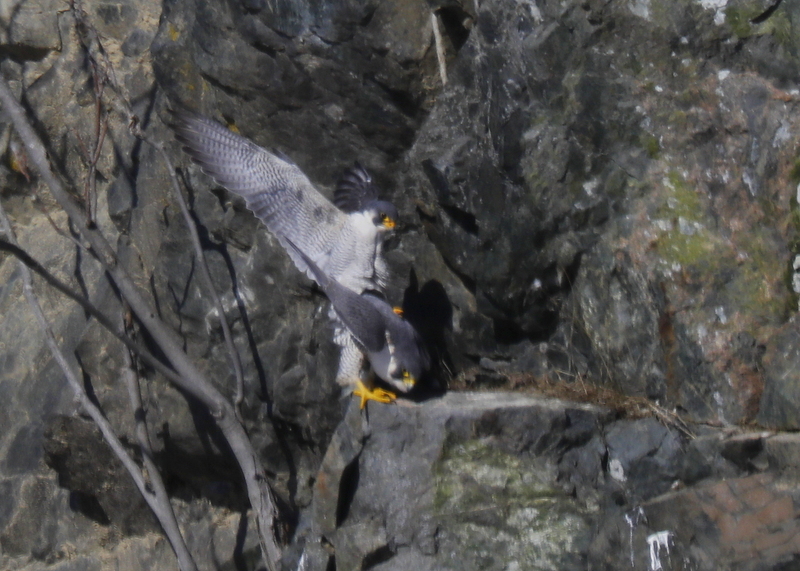 Peregrines: Woburn – female incubating eggs! After months of speculation among the local peregrine watchers about whether these falcon would form a pair bond; and after many weeks of observed and reported copulation activity between the unbanded male, and the not quite yet one year old banded female, it looks very much like the first eggs have been laid and the the incubation process has started. 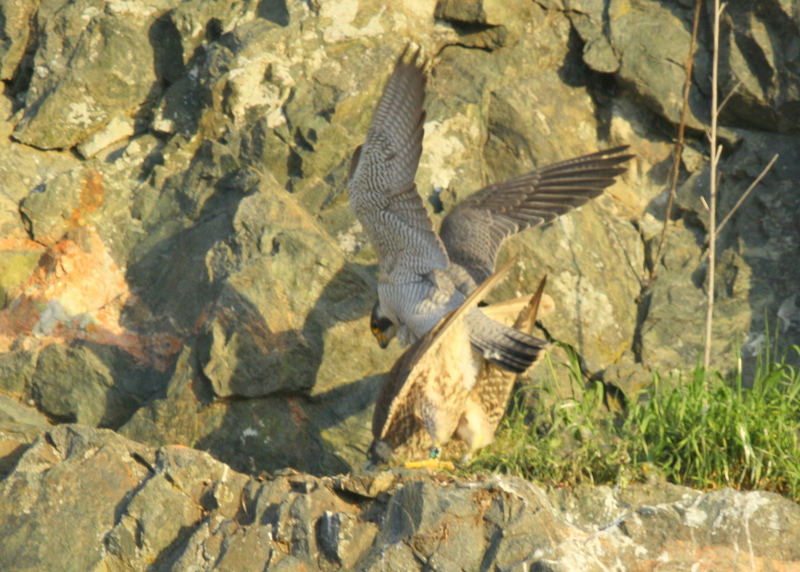 With Peregrine Falcons, it is normal for first-time egg layers to start a bit later in the season. The eggs are laid normally about 48 hours apart, but it can be as long as 72 hours apart. Usually, full-time incubation starts after the second to last (penultimate) egg has been laid. In many nests, the female handles the incubation duties around 2/3’s of the total time with the male taking up the balance and providing the female with time off the nest.